Many organizations are struggling to go digital but continue to work with piles of documents on their desk. Heaps of paper usually contains essential documents that require physical signatures such as tax forms, lease forms, reimbursement sheets, contracts, and much more. It signifies that the task allocated to create and organize them is also endless. Employees are looking for an easy-to-use electronic signature software solution. Electronic signatures can revolutionize the way people do business, and can significantly pave the way for more profit, innovation, and productivity. The reasons why you must use electronic signatures in your organization. Do you ever realize the amount your company spends on paper, ink, printers, and hiring courier service? The number is probably more than you would imagine. Additionally, your organization is also paying someone to perform administrative work such as faxing, printing, and filing documents. Implementing a paperless work environment and adopting SutiSign e-signature software will add efficiency and be more cost-effective for your organization, where you can save money spent on paper and ink and invest it on processes that will enhance business profit. So, organizations moving to electronic signatures increase their revenue by about 8 percent in the first year. You have wasted a lot of time signing documents and contracts manually when you could have used the time in doing more productive work. Switching to legally binding electronic documents streamlines workflow, so you no longer have to deal with the lengthy approval process, follow up with parties, scanning and printing reports, and to repeat the same process. It is a time-consuming and tedious task. A cloud-based online electronic signature software helps to automate signature requests and prevent human errors by integrating editable custom fields. Templates can be used to avoid the creation of duplicate documents. Now, no need to spend hours staring at your inbox and waiting for the record to get signed. Getting someone to sign an agreement is quite tricky. Just imagine how monotonous it would be for the customers or clients to sign piles of paper documents. Leaving clients frustrated with such kind of complicated workflow can lead to client drop-off. By automating your entire operation, you can treat your clients to have a better experience. A useful electronic signature software will help you to digitize necessary paperwork; thus, allowing clients to sign in a transparent and orderly manner. Many organizations print out, sign and then scan signed documents back into digital form for safe keeping. Implementing e-signatures to your process elevates efficiency among team members across the organization. Each one of them can save days, months, and even hours by just switching to an electronic signing process. When you value productivity and efficiency, all you want to do is minimize the time and cost needed to complete transactions. So, embrace electronic signatures and make it an integral part of your organization so that your team can focus more on essential tasks than physically signing documents. 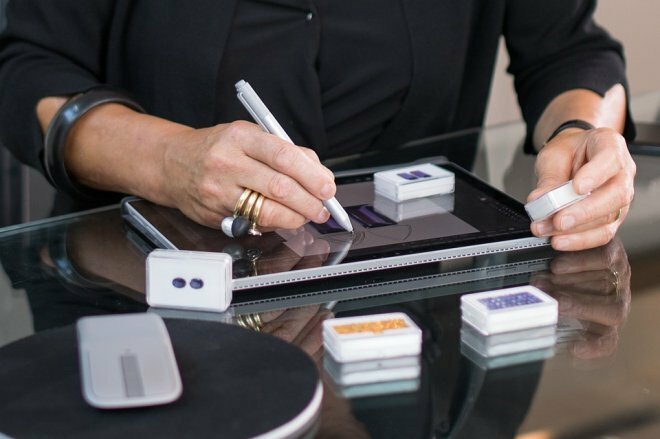 In the technology-driven age, electronic signatures are having a significant impact on the modern business environment. E-signatures are crucial for businesses of all sizes to save money and time, increase transaction speed, and gradually cuts down expenses involved in printing documents, faxing, and purchasing other stationary items. It enhances overall work productivity and enables your organization to store documents in the cloud.